Does the thought of contracting cancer put a lump in your throat? Difficulty swallowing is just one of many symptoms of the tonsil cancer. This rare form of oral cancer has symptoms that could easily be mistaken for a viral or bacterial throat infection. 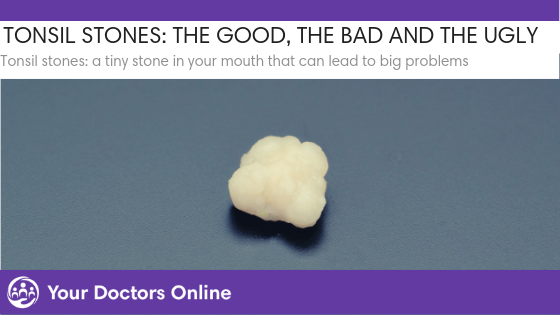 It can even occur in people who have had their tonsils removed! Check out our complete guide to tonsil cancer, including how to spot the signs, treatment plans and how to reduce your risk. While many of us may recognize the two oval shaped forms of tissue at the back of the throat, most people have no idea what they are supposed to do. Tonsils are actually part of your immune system. They are one of your first lines of defense to protect your body from bacteria and viruses going down your throat. Your tonsils are made up of lymphoid tissue. Lymphoid tissue is the name for tissue that contains cells that fight off disease. Your tonsils will often change shape in order to battle off disease. They may swell with blood to trap germs. This can happen when you are fighting off a virus. 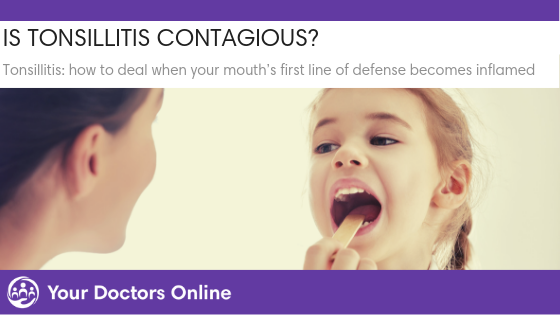 Tonsils can also become infected and inflamed by a bacterial or viral infection. When this inflammation occurs, it is called tonsillitis. Tonsillitis can occur in conjunction with a bacterial or viral throat infection or be a stand alone ailment. 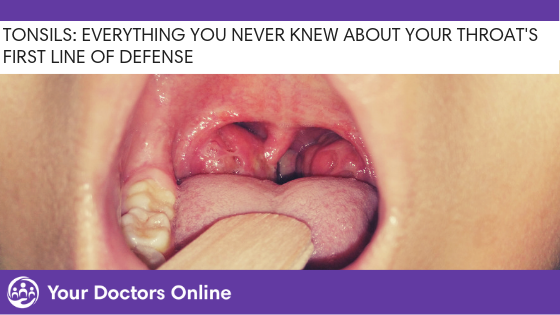 Recurring tonsillitis can be a reason that your doctor performs a tonsillectomy to remove your tonsils. This is a fairly routine procedure that often occurs in childhood. Unfortunately, just because you had your tonsils removed does not mean you are unable to contract tonsil cancer. One of the scariest parts of this type of oral cancer is that the symptoms are so similar to those of a typical ‘sore throat’. While many viral throat infections are mild in nature and short-lived (think a sore, scratchy throat that is common with the cold or flu) bacterial throat infections, such as strep throat, can be much more severe. A sore throat is often one of the first signs that you have contracted a virus, but it can also be a sign of something much more serious. The pain you are experiencing in your throat is one of your body’s ways of telling you something, but is it a sign of cancer? 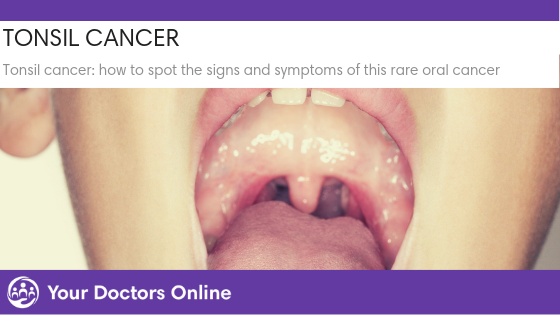 It is important to learn the signs of tonsil cancer as this rare form of the disease is often caught late when it has already spread. While the exact reason that cancer begins in the body is not known, we do have information about the changes that take place. Tonsil cancer begins when abnormal cells develop in one or both of your tonsils. These cells are considered precancerous and could develop into cancer cells. Cancerous cells develop into a tumor. If left undetected, the tumor will grow and spread to nearby areas such as the tongue and lymph nodes. While it is not known the exact reason that these cancerous cells begin to develop. There are many genetic, health and environmental factors that are believed to play a role. 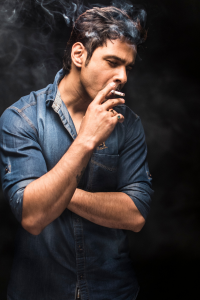 When you choose to drink alcohol or smoke cigarettes, the liquid or smoke first enters your mouth before making its journey to your stomach or lungs. As your tonsils are used as a first line of defense for potentially harmful substances entering your throat, they often bear the brunt of the abuse. 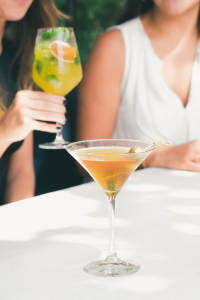 Tobacco and alcohol may actually harm the DNA and genetic coding in your cells. This type of damage has been linked to cancer. Human papillomavirus (HPV) is a sexually transmitted disease. According to the Center for Disease Control (CDC) approximately 79 million Americans have HPV with the majority of those infected being young adults in their late teens and early twenties. The virus can cause genital warts as well as some cancers, including tonsil cancer. Experts are unsure why. It is important to make the time for your health. Most cases of tonsil cancer are not detected until the cancer has spread. If you have a persistent sore throat for two weeks or longer, it is important to speak to a doctor. 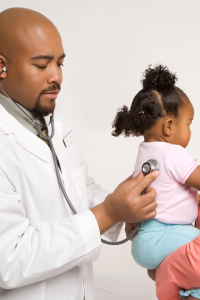 Your Doctor Online offers free medical consultations over the phone 24 hours a day. This service is especially important since the amount of time it takes to schedule a doctor’s appointment has been steadily increasing in the US. A 2017 survey indicated that it takes an average of 24 days to see a doctor and that number has been steadily creeping up over the last decade. If you suspect something is not right with your health, connect with a doctor right away. Chat with one of our doctors for free. If your doctor suspects tonsil cancer, they will ask about your medical history to assess your risk factors. From there they will perform a physical examination where they will look for any signs as well as feel for any lumps. If your doctor suspects that you may have tonsil cancer, they will refer you to a specialist. The specialist will likely perform a biopsy, which means they will remove a small part of the infected area. These cells will then be examined under a microscope to determine if they are cancerous. Imaging tests are often used when cancer is suspected. These tests are a way for the doctor to see what is going on inside of your body. These tests work by sending forms of energy (such as x-rays, sounds waves or magnetic fields) through your body. In the early stages, these tests can pinpoint the location of a tumor. They can also indicate whether the cancer has spread to other areas in the body. They can also be used to pinpoint treatment plans, such as where the radiation needs to be concentrated. Stage 0: Also known as precancerous when some abnormal cells are present that could become cancer. Stage 1: There is a tumor of less than 2 centimeters (cm) that has not spread. Stage 2: There is a tumor of 2–4 cm that has not spread. Stage 3: The tumor is bigger than 4 cm and has spread to a surrounding lymph node. Stage 4: Cancer has spread to other areas of the mouth, throat, or body. The treatment plan created for tonsil cancer is determined by several factors, most notably the stage of the cancer. 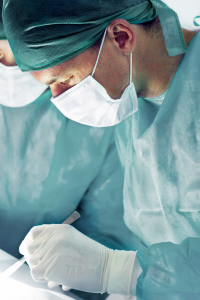 While most treatment plans include a tonsillectomy to remove the tonsils, it also often includes removing the area around the tonsils, to ensure the removal of all the cancerous cells. Tonsil cancer can occur even if the tonsils have already been removed. In this case the cells remaining in the tonsil area would be affected and the area would need to be removed. Radiation can be used to stop a tumor from growing or to destroy cancer cells. This type of treatment can have a powerful effect on a tumor that is confined to a small area. The power energy waves that radiation delivers are often able to disrupt the growth of cancer cells and their ability to divide. This can kill the cancer cells and cause tumors to shrink so that they can be surgically removed. Radiation can cause side effects because the tissue around the tumor can also be affected. Chemotherapy is often used alongside radiation for cancers of the mouth. It uses a combination of medicine taken internally to shrink tumors and kill cancer cells. It kills the cells as they divide and can be an effective cancer treatment. There can be adverse reactions to chemotherapy treatment. This is because in addition to targeting and killing cancer cells, it can kill healthy cells as well. The benefits of chemotherapy outweigh the risks. It is important to discuss any concerns with your physician. 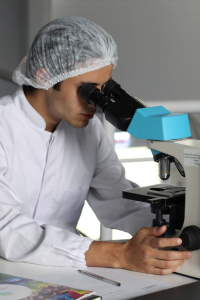 The good news is that new drugs are being developed to better target cancer cells for treatment. These are called targeted therapy. This type of treatment may help lessen the side effects of chemotherapy. Advanced cancer may require advanced pain management therapy to keep them comfortable. Tonsil cancer and its treatment can often make it difficult to drink and eat. In some cases, a feeding tube may be required to ensure that the patient gets adequate nutrition. When it comes to your health, it is important to be proactive. With longer wait times and busy schedules, it is easy to leave your health on the bottom of the list. Instead of putting your concerns off until tomorrow, why not connect with one of our doctors for a free online chat? Simply download our free app and connect to put your mind at ease.